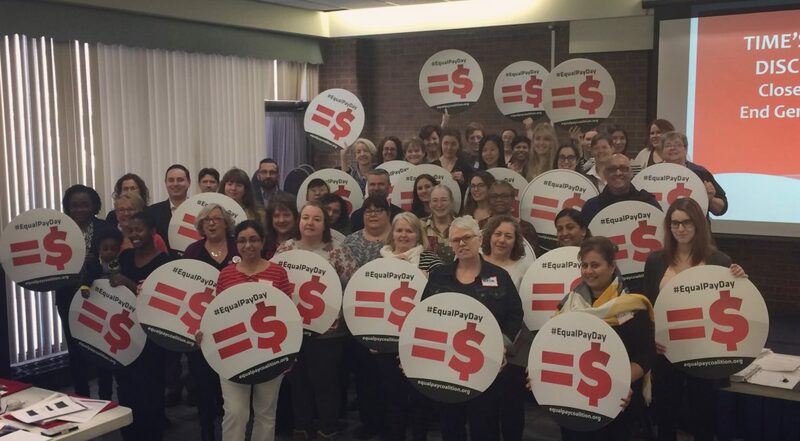 Our co-chairs will give updates on the inter-sectional gender pay gap, the Employment Standards Act, the Pay Transparency Act, the status of the Ontario Pay Equity Commission, and the Federal Pay Equity Act. It will also be a crucial opportunity to plan our actions moving forward, including this year’s Equal Pay Day, April 9th 2019. The session is open to organizations committed to closing the gender pay gap and advocating for women’s economic justice. If your organization is interested in joining the Equal Pay Coalition, please email equalpaycoalition@gmail.com to confirm your attendance at the strategy session.